The random number generator has chosen for me to write about an old mediocre game for the Game Boy Advanced (GBA). Lego Island 2! 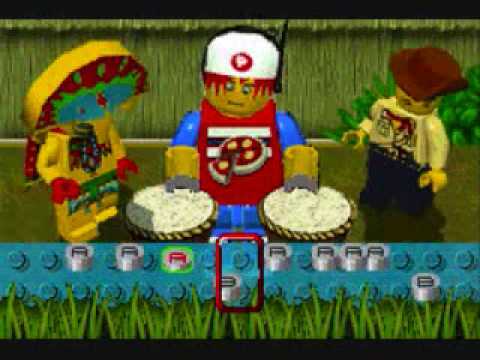 Now, don’t get me wrong, Lego Island 2 is pretty fun on the computer. 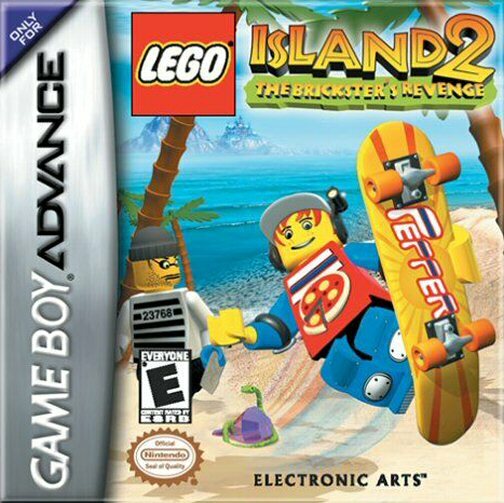 Like the original Lego Island, it had a full 3D rendered world, but it also included a lengthy story which brought the main character, Pepper the delivery dude to two other islands and even into outer space. 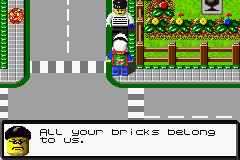 The premise is that the resident criminal of Lego Island, the Brickster, has escaped from jail and stolen the pages of the Constuctopedia, destroying many of the buildings of Lego Island. It’s Pepper’s job to bring those pages back and chase after the Brickster so that Lego Island can be rebuilt. 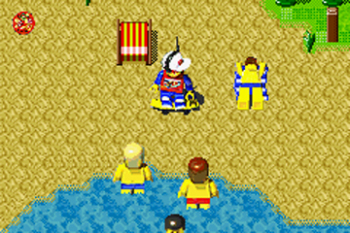 The watered down version of the game on the GBA included a story similar to the PC version, but it lacked the 3D rendered world. On the street, you are limited to moving on the sidewalks and crosswalks. 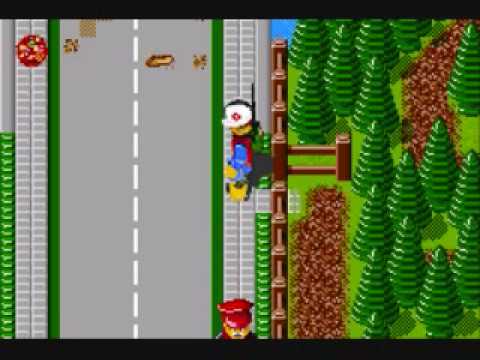 Allowing Jaywalking would have made this game less tedious but more dangerous. As such, the game is filled with okay jokes and fetch quests, which is actually sort of boring in the way it was implemented. The first time I played this game, I struggled through only to run into a game breaking glitch. While on his skateboard, my character accidentally glitched into a fence, and I couldn’t get out. I saved because I thought it would help, but it actually just ensured that I couldn’t continue the file, because part of the save data includes your exact location. All your bricks ARE belong to us. I may have given up at that point. I can’t remember, but because I couldn’t remember, I played through the game recently when I had literally nothing else to do. I was in Maine and I had just bought my copy of Paper Mario Sticker Star, but I wasn’t in the mood to start it quite yet because I still had New Super Mario Bros. games to finish. I finished the game while waiting to go to my cousin’s wedding, finishing just before we had to head to its location. Some good things I can say about this game are that its music is good, and also the mini games are fun. The mini games usually (if not always) need to be cleared to continue in the story. 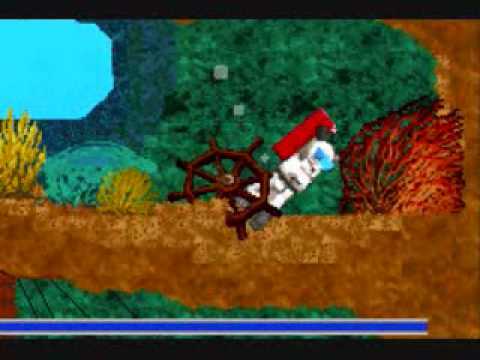 The best mini game is probably the one where Pepper has to go underwater to retrieve lost pieces of a Lego bridge that fell apart. That is one of the highlights of the game. 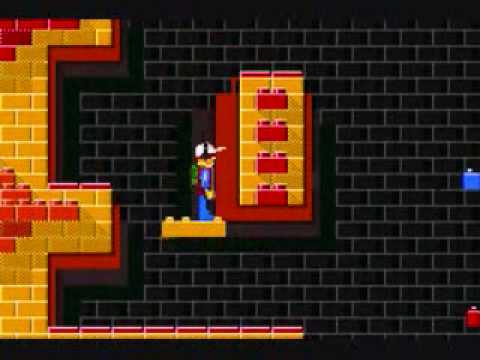 Another highlight was some side scrolling platforming before the final showdown with the Brickster. 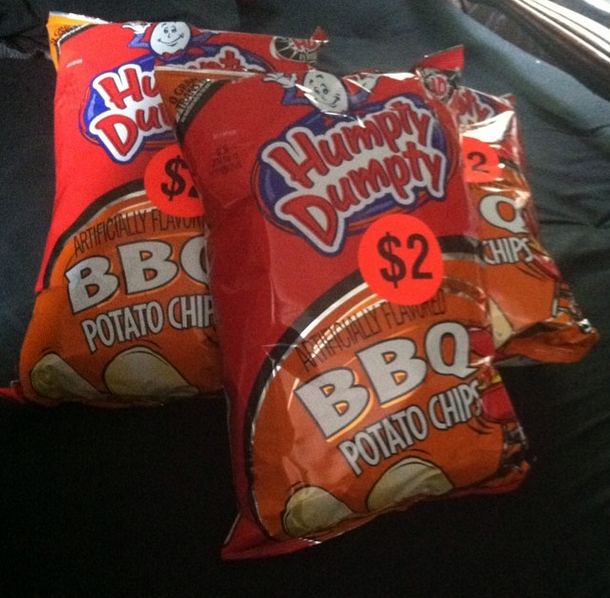 I finished the game in Maine, and when I was in Maine, I got a lot of Humpty Dumpty Barbecue Potato Chips. They are my favorite food and they are only sold in Maine, New Hampshire (Supposedly Vermont and Upstate New York) and Canada.